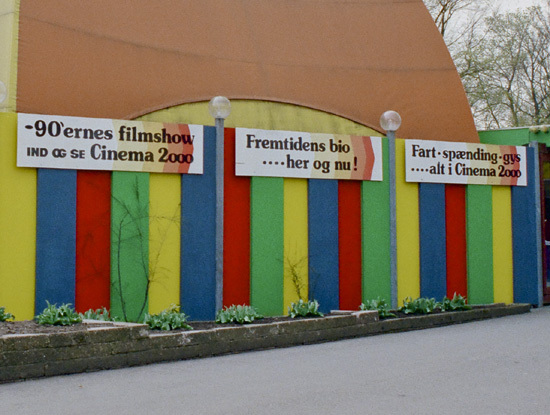 One of the first - of at least four - Cinema 180 installations in Denmark. 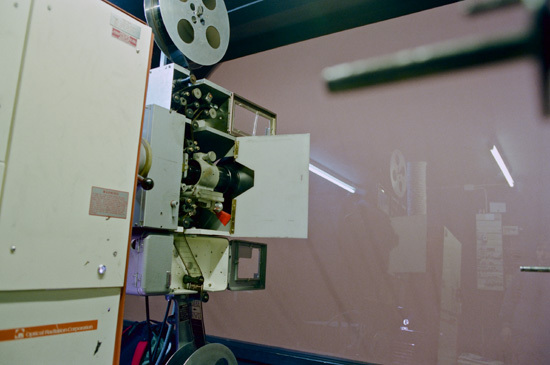 Installed in early 1980s at Dyrehavsbakken, north of Copenhagen. 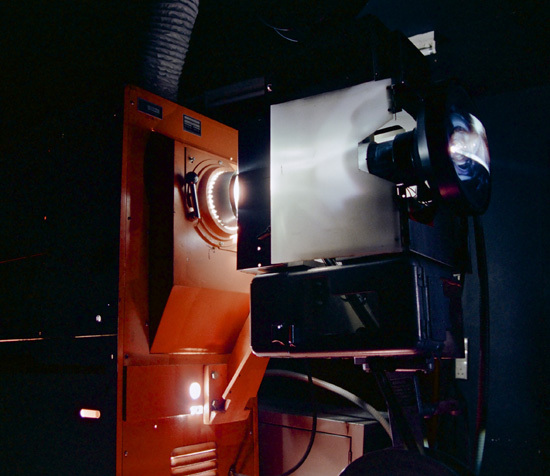 It is believed this was the first Danish Cinema 180 installation when it opened in the late 1970s. A very colourful facade. This one from 1985. 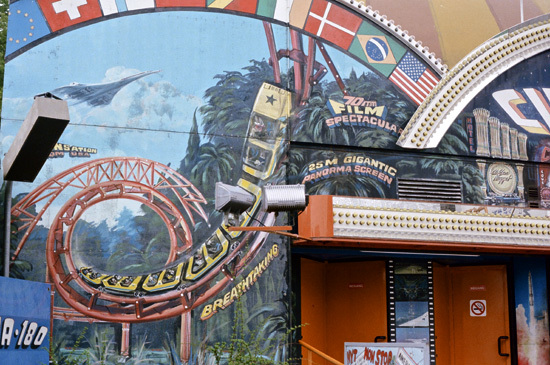 Roller coaster and international flags, all hand painted on the facade, including a logo saying "70mm Film Spectacular" on a "25 m Panoramic Screen". 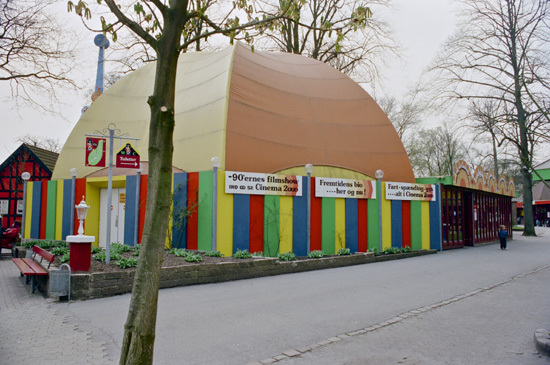 A Cinemeccanica Victoria 8 in Tivoli gardens in Copenhagen. 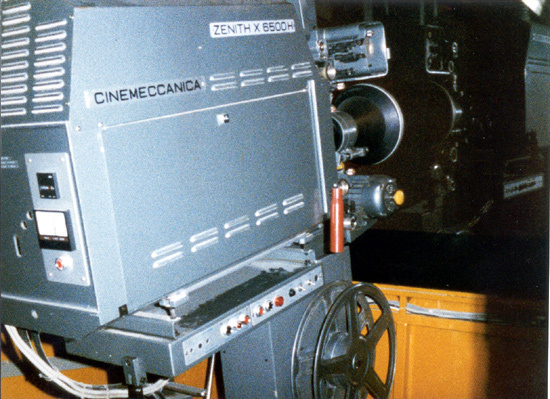 Their "Cinema 2000" cinema was a regular Cinema 180 installation. 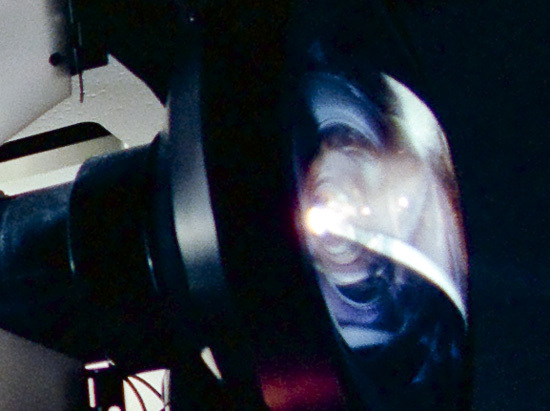 The films often had German dialogue. 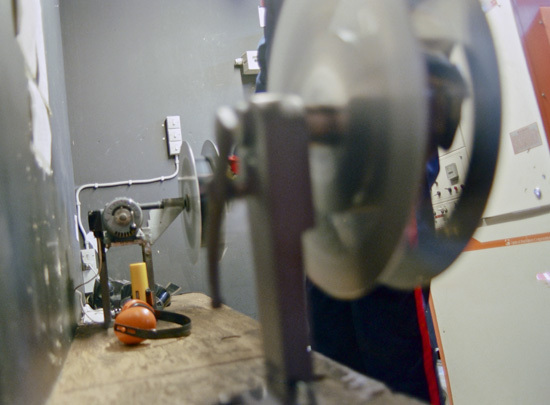 The acoustic quality was often so bad that it was impossible to hear the soundtrack properly. Installed seasons 1981, 82, 83 and 84. 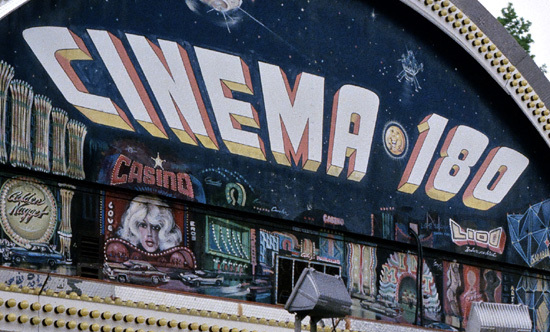 Known titles include: "Galaxy of Thrills", "Flight of 747" and "Thrills of America". 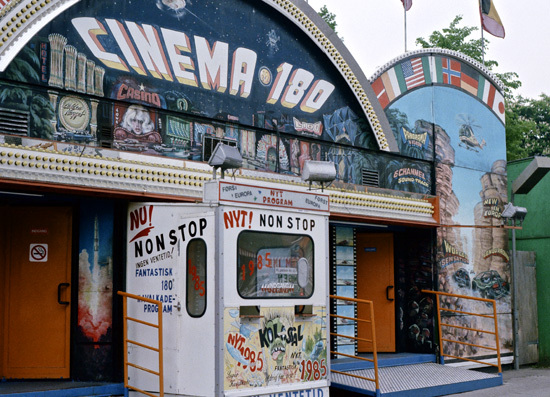 Cinema 180 installation in Aalborg opened around 1985 and closed around 1994. 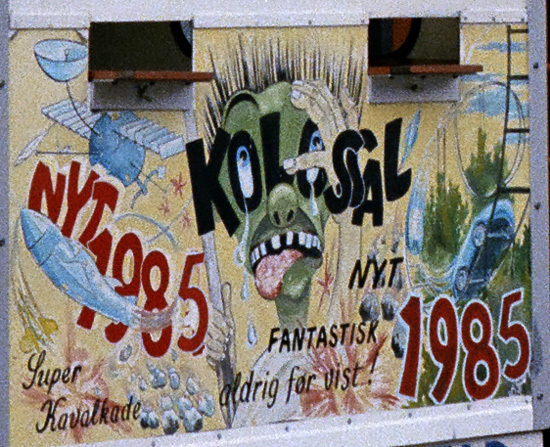 Price for a ticket in 1991 was 20 DKK. 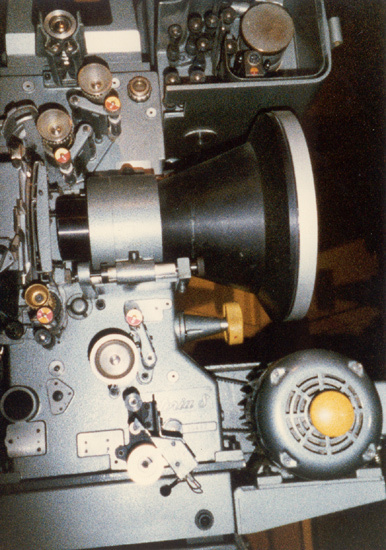 Ballentyne Pro 35/70 machine with a curved film gate. 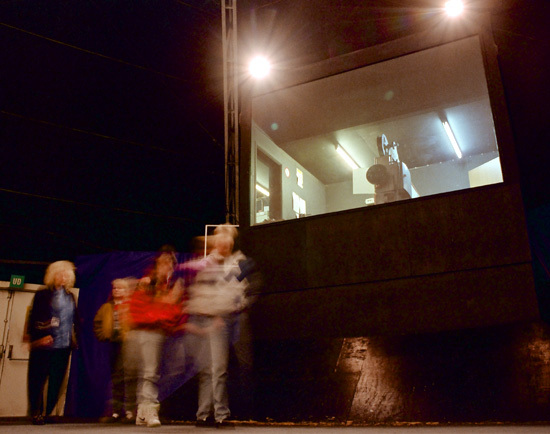 The audience entering the cinema. Sound came from 3 ElektroVoice speakers. 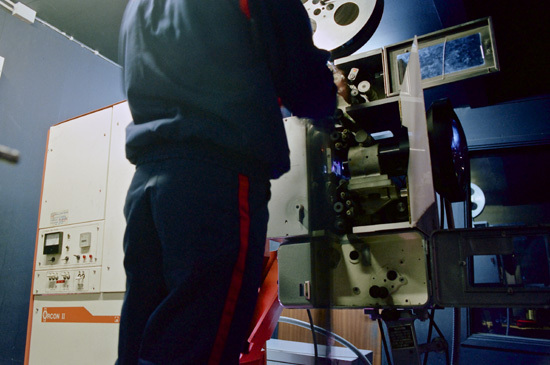 The projectionist told me he had been trained to run the show the previous day. His salary was 43 DKK/hour. 3 shows pr/hour 8 hours a day during 5 months. Lamp house type ORC Orcon II V4500 with a 4000W xenon run at 130A and 65 Volt. 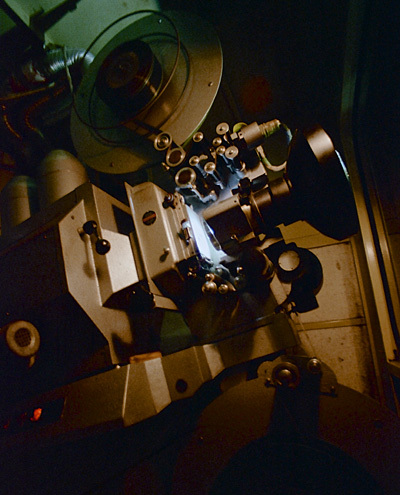 The dome screen was kept in place by a vacuum. The acoustics was terrible, and the cinema was very dirty. 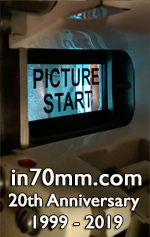 The projection lens was an ISCO 21mm (0,83 inch).